Britain's advertising watchdog is launching a review of its operations following concern from advertisers that it is too difficult to overturn rulings against their ads. The Advertising Standards Authority review will cover areas such as its processes for handling an ever-growing number of complaints and how appeals against its rulings are judged. Outside consultants will conduct the review for the ASA, which is expected to be completed by the first half of next year. Concern from advertisers has been mounting over how difficult it is to get an ASA ruling overturned. Over the past two years, no appeal against an ASA ruling on a television campaign has been successful. 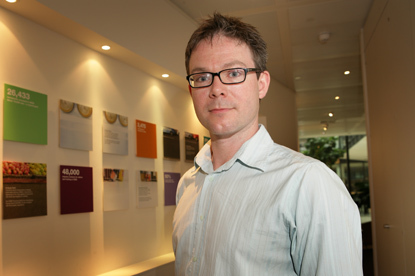 The ASA claims the review is linked partly to Guy Parker's recent appointment as its chief executive but has also been called because it is five years since Ofcom put the policing of all broadcast and non-broadcast advertising under the ASA umbrella. The review also coincides with a review of the UK's advertising codes currently taking place and the likelihood that the ASA's remit will soon be extended. An ASA spokesman said: "It's a good time to take stock of how our systems work. It will cover everything from how complaints are handled to how investigations are carried out and how the ASA council makes its decisions." Brinsley Dresden, a partner at Lewis Silkin and one of the leading industry lawyers, is among critics who claim that the grounds for appealing against an ASA ruling are too narrow.